Kids Tummy TLC™ is an alcohol-free, herbal supplement that seeks to provide temporary relief from stomach discomfort. 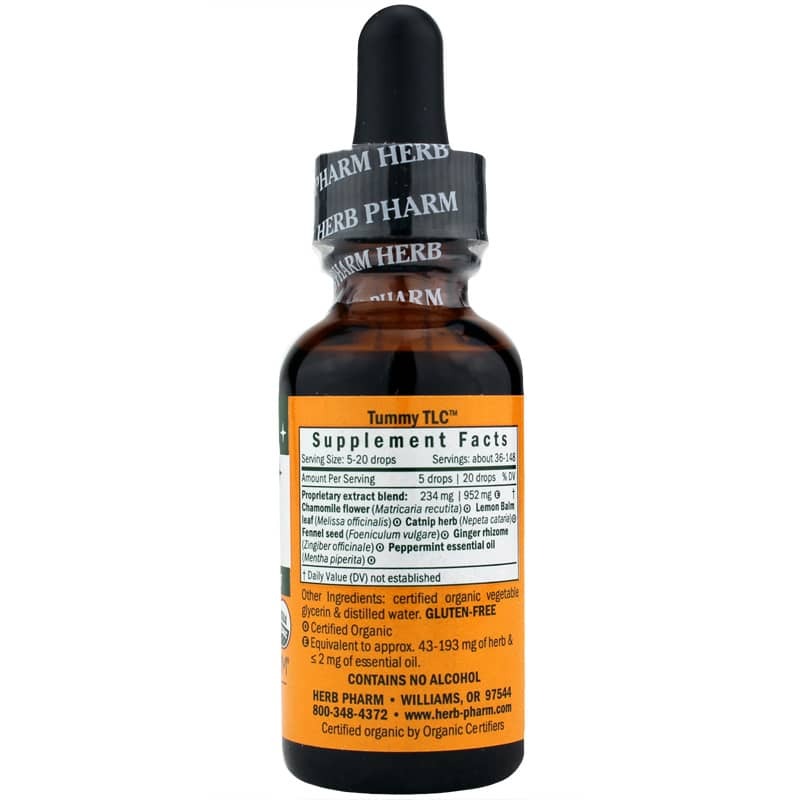 You can feel good about giving your children organic, chemical-free herbal products from Herb Pharm. 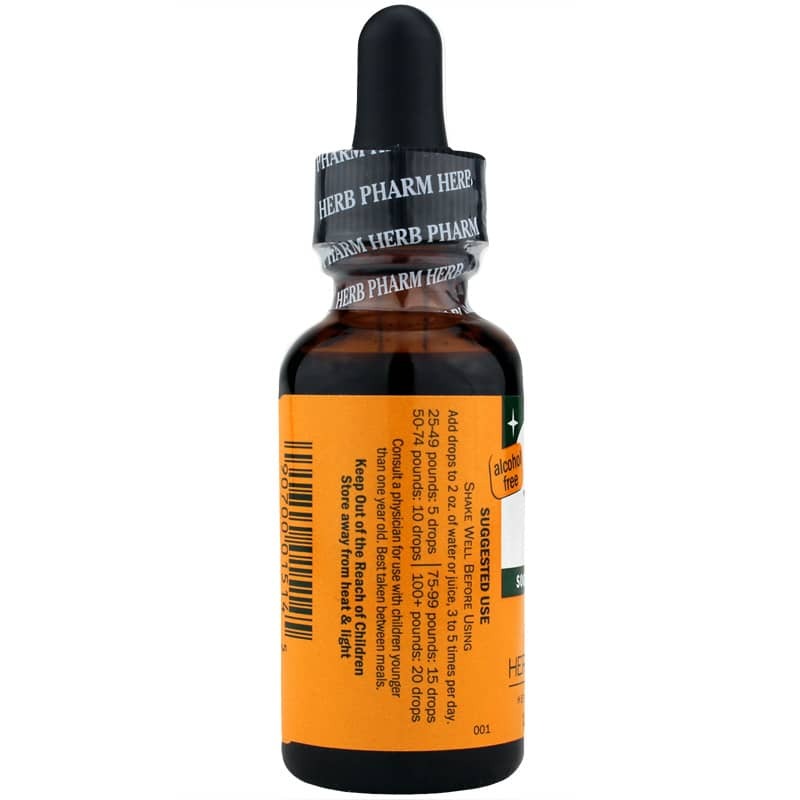 Herb Pharm uses a unique blend of organic chamomile flower, lemon balm, catnip, fennel, ginger, and peppermint oil in its Kids Tummy TLC™. German chamomile has been utilized for its health benefits since ancient times. The flowers contain beneficial oils, flavonoids and other substances that seem to calm gastrointestinal and digestive issues. Lemon balm leaf also has properties that may address an upset stomach and promote a calming effect. Peppermint oil is known for its beneficial digestive properties as well. This supplement was made following earth-friendly practices. See the bottle for exact dosage requirements based on the child's weight. Drops can be added to water or juice. 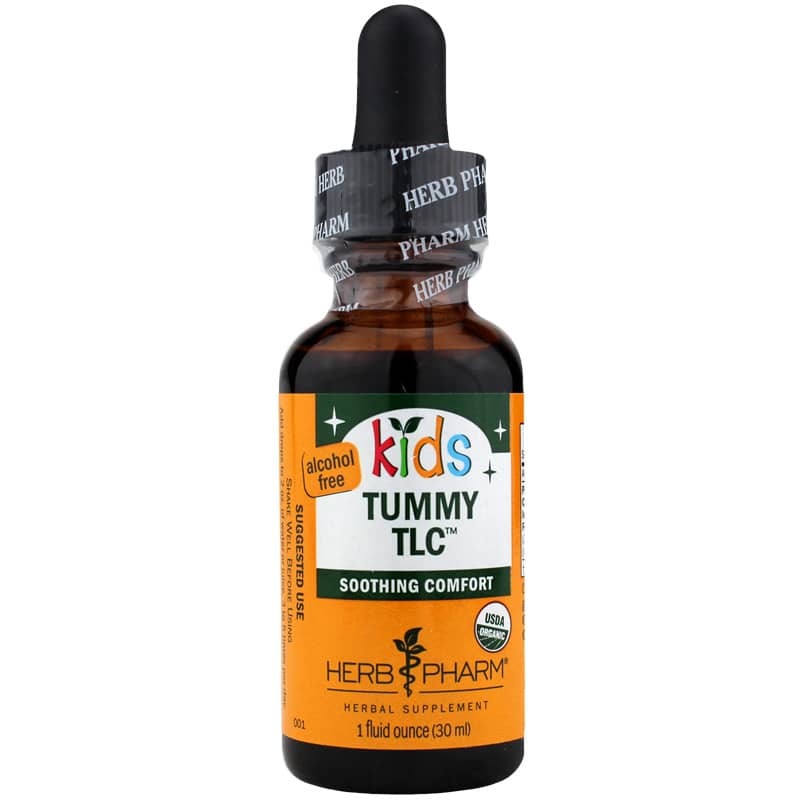 If you're looking for a natural supplement that was developed to provide soothing comfort when your children experience stomach upsets, consider Herb Pharm's Kids Tummy TLC™. Shake Well Before Using. Add drops to 2 oz. of water or juice, 3 to 5 times per day. Best taken between meals. Consult a physician for use in children younger than 1 year old.